This episode of the unplanned and unscripted Oh, Dear Boss welcomes Paul Begg, Mark Ripper, Tom Wescott and Brian Young on to the show to discuss whatever suits our fancy. The topics this time are too numerous to list here, plus the Maybrick Diary. Also FREE on iTunes, Podcast Addict, MixCloud and wherever you might go to find podcasts. Last edited by jmenges; 10-02-2017, 06:41 PM. Agreed. Informative, entertaining and even handed. Great stuff, Jonathan. Keep up the good work. Thanks for the early positive reviews. They are very much appreciated. Listening now... I feel like I'll just use this post to add my comments as I would have, had I been on. Me: Go back to sleep, Oklahoma! If a person were hoaxing it back in time, in 1888, they would have been able to get ahold of a proper diary, not a photo album. Why would someone hoax it in 1888 and use a photo album, instead of a regular diary? Perhaps albums were going cheap in the Christmas sales? I mean if you're going to write a real diary, you don't care what you use. But if you are going to hoax, you're going to try to make it as authentic as possible. Being in 1888, you can get a journal. People in 1988 have less options. And if we hypothesize the diary's genuine, why on earth would a wealthy, middle class Victorian merchant purchase a photo album to record his experiences rather than proper a journal? This is fun, it's like MST 3000 for Rippercast. As Michael Barrett soon discovered after coming into possession of the artifact known today as the "Maybrick Diary," when he ordered an authentic Victorian diary for comparison, such a diary is too small, and a larger format book was needed to tell the story. 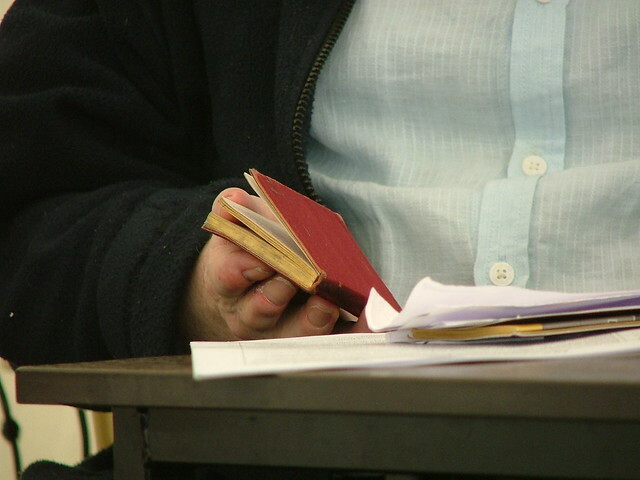 Seen below is an image of the little red Victorian diary that Mike ordered in 1992 for comparison purposes. It's held in the hand of the M/C, the late lamented Jeremy Beadle at "The Trial of James Maybrick" at the Liverpool Cricket Club in May 2007. Photograph courtesy of Tony May. What is written in the document allegedly written by James Maybrick is not a diary despite the designation it has been given since 1993 when Shirley Harrison published The Diary of Jack the Ripper. 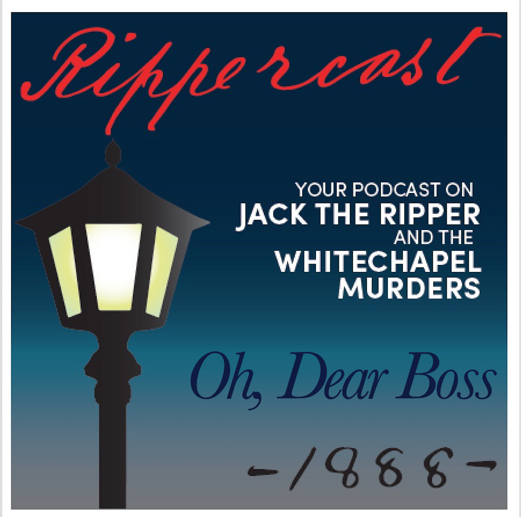 Rather it is the melodramatic narrative of someone riffing off the Ripper case and trying to convince us that they were the Whitechapel Murderer. Last edited by ChrisGeorge; 10-04-2017, 01:12 PM. Paul suggests that the author/confessor might have torn out the pages of the memorial book that contained physical reminders of his happy marriage now long past. But it was only a suggestion, and by now you've gone past that part of the show. Last edited by jmenges; 10-04-2017, 01:15 PM. But it was only a sufraction, and by now you've gone past that part of the show. That argument is not too convincing, Jonathan, with due respect. What is written in the existing Diary covers a few months. There aren't enough pages cut/torn out from the beginning of the book to go back to those halcyon years when James and Florence Maybrick were doe-eyed lovers -- if they ever were!